Alpamare is the biggest indoor waterpark in Europe, just 45 minutes by train from Zurich. There are ten slides with a length of more than 1,500 metres and different levels of difficulty, a wave pool, a river-like pool and a iodine brine bath with massage jets. Alpamare will definitely brighten up a rainy day, not just for kids. 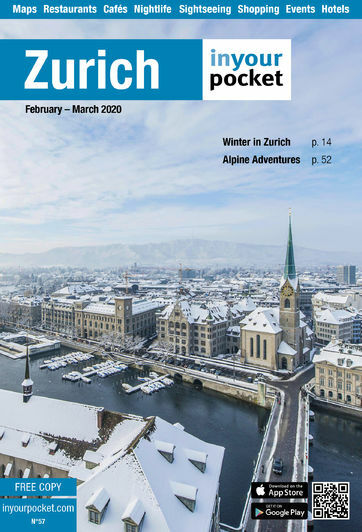 Up to five train connections per hour take you from Zurich to Pfäffikon SZ (SZ means in canton Schwyz). From there, take bus N°195 to the Seedamm-Center (no service on Sundays) or walk there in 15 minutes. Open 10:00 - 22:00, Fri, Sat 10:00 - 23:00, Sun 10:00 - 21:00. A four-hour stay is 42/34Sfr. You get a discount if you book tickets online.